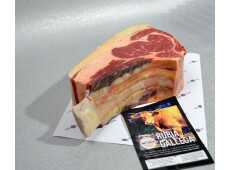 The beautiful Iberian beef Rubia Gallega is becoming more famous in the Netherlands and in Belgium. The meat has a very good taste. 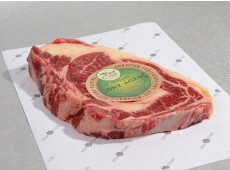 This beef is known for its subtile marbling. 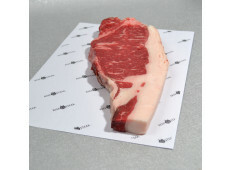 Marbling is the fat between the muslces, intramuscular fat. The meat has a spicy and a little salty taste. 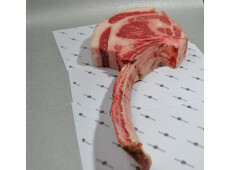 This meat has this wonderful taste because of the natural and free life of the oxes. The cows are slaughtered if they are 2 to 7 years old. This means the cows have had the chance to enjoy all the things the nature has to offer. 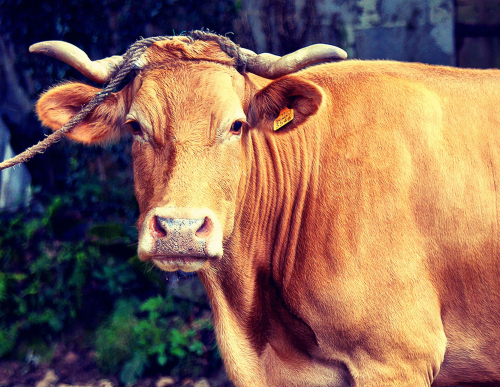 The farmers in Galicia focus more and more on the breeding of the Rubia Gallega. The cows are strong and through that they can handle the turbulent Atlantic climate. Beside the Rubia Gallega, there are a few races that are kept in fewer numbers. These are called the brunettes from the North-West; "Morenas del Noroeste". The quality of all these beautiful meat races are protected by the law through the quality marks "Carnes Gallegas" (ox) and "Ternere Gallega" (calf). If you need any more information, you could call us at phone number 0172-577 147. Or you could just send us an e-mail at e-mail adress info@beefensteak.nl.